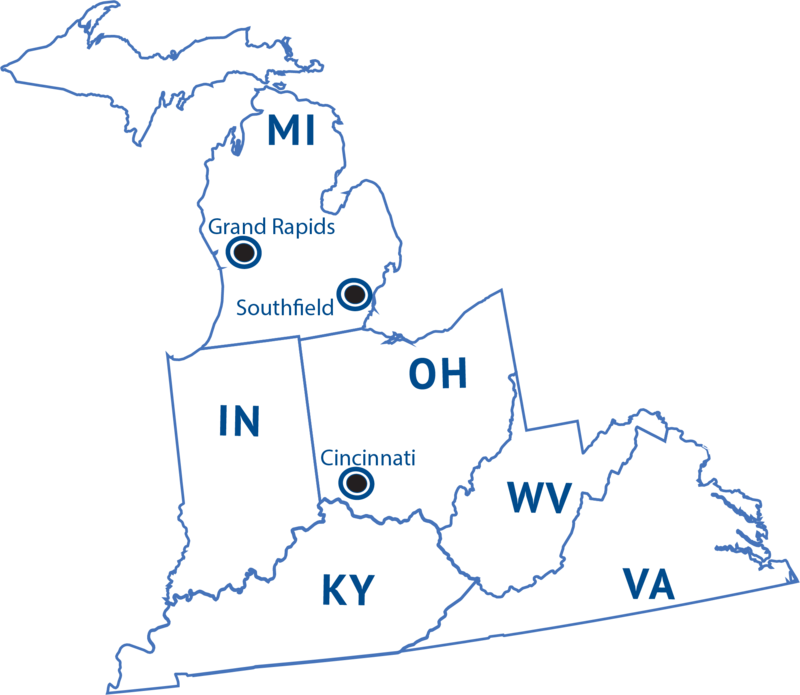 Rettig Engineered Products’ sales territory includes Ohio, Michigan, Indiana, Kentucky, Virginia and West Virginia. There are sales representatives at local offices to better serve customers. Rettig Engineered Products is comprised of a Professional office staff and Sales Representatives. Internally we have an office manager and an office assistant who handle a wide variety of functions from normal office management to inside sales and support. Our Outside people have a history of working in some capacity in the Engineering environment before transitioning into engineered component and assembly sales.